The late 70’s and early 80’s was an era of small-scale capitalism. The microcomputer made it possible for a small team – even a single person – to create a product that had real impact. VisiCalc was written by 2 guys, Dan Bricklin and Bob Frankston. The classic game Wizardry was also a 2-guy effort, written by Andrew (aka ‘Werdna’) Greenberg and Robert Woodhead. Ever look at the credits for a game today, like Angry Birds? It’s like reading the phonebook. For a long time if you wanted to make a product, you had to be a big company. Sure, you can be a craft-person and make one of a kind artisanal things, but those are more art works than they are products. To do a product you need to have a market, which means advertising, and you need to have production, which means having a factory, and having both of those meant you had to be big. No more, because of two things. First is the internet and in particular social and sharing services that make it easy for interest groups to form – there’s your market. The second thing is a range of manufacturing advances like 3-D printing – where anyone can create a physical prototype of a designed object – and small-run production – like this, this and this – which make it cost-effective for small, virtual companies to make things. What kind of things, you ask? There’s Yield Picnic, a beach-bag that converts into a blanket; Magnetic bike lights; and the Captain Crepe Pan, “the best CAST IRON PAN for making the world’s BIGGEST AND BEST CREPES.” These are just a few examples of 1,000s of projects on Kickstarter, the leading “crowd funding” site. Most of these are small efforts, in the $10 – 30,000 funding range. Some are much bigger, in the millions. Kickstarter is the best single example of what indie capitalism means, namely: It’s traditional capitalism where buyers and sellers meet in a market and do business, but its also “independent” in that you’re not dealing with a giant corporation that is constrained to deliver only products that align with some global mega-strategy, but with a small entity whose only business is the thing you want to buy. You think Apple really cares about your individual comments on its products? If you didn’t get the memo, they don’t. Yes, when the whole world calls Apple Maps an epic fail, they care. That’s the extent of their engagement with you. That’s not how it is on a Kickstarter project. The whole idea on Kickstarter is the project owners interact with their backers and that you as a backer have a say in how things will turn out. Last two background things I’ll mention are Maker Faire and Lifehacker – if these are news to you, they are two of the strongest originating impulses for indie capitalism. Lifehacker is for do-it-yourselfers – like, who want to fix their own smartphone. Maker Faire is more creativity and product oriented, but it shares with LifeHacker the core idea that you, not the “big guys”, can make something useful. In “start-up” culture, there are basically two trajectories: become super successful so you can become the next Twitter or Facebook, or aim to get acquired by a larger company. There are very few new start-ups that have the goal of staying intentionally small, building great products that can be sold for a profit, and growing organically. One of the more fascinating aspects of Indie Capitalism is that there is now a middle ground. Instead of the “go big or go home” approach of most start-ups, it is now feasible to “go small and have complete autonomy over your products and not work crazy, unreasonable hours.” That’s probably a little too long to catch on, but you get the idea. 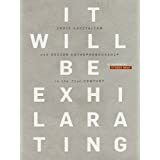 If this is new to you and you’re interested, It Will Be Exhilarating is a pretty good read – a window into a cool world that all of us as consumers can benefit from. And if you are thinking of trying the indie capitalism thing, I heartily recommend IWBE – for $4.99 you can read about what worked, what didn’t, and get tons of references to help you plan your own personal conquest of the long tail. To drink was water from a horse-trough the chef filtered himself, though to finish the diners had coffee and cognac from the Emperor’s personal store. Thus fortified, the Emperor and officers and all the French troops fled the morning barrage from the Prussians. The chef was Auguste Escoffier, and this was not the least of his innovations or creative solutions. 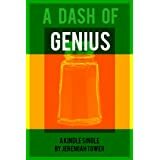 A Dash Of Genius ($2.99 for Kindle) by Jeremiah Tower is mostly an overview of this great chef’s life and accomplishments, augmented by Tower’s own experiences with Escoffier’s legacy and recipes. Tower is himself a tremendously accomplished chef, one who helped build the world-famous Chez Panisse. But this short book is all about Escoffier. As a member of the dining public, owner of all of Julia Child’s books, most of Jacques Pepin’s, and frequent viewer of pretty much any cooking show – unless it features the ever-irritating Gordon Ramsay – I like to think I know a lot about cooking, for an amateur. I of course knew the name Escoffier, but I thought of him as just an example of the broader French tradition and, coming from La Belle Époque, as a representative of an outdated cuisine, marked by heavy sauces and pointlessly complex preparations. How wrong I was. Everything we take for granted about fine dining, and restaurant cooking in general, comes from this man. Before Escoffier, dishes were not cooked to order. Restaurants had timed seatings, and then the same dishes – in great variety of course – were served to all diners. Escoffier perfected ordering à la carte, and the kitchen system necessary to quickly fill incoming orders. Before Escoffier, kitchens were organized into separate sections; the conduct and quality of the salads was often different from that of the grill, from that of the pastry, etc. After Escoffier the kitchen was run by a single commander, and all the sections worked together to a single set of standards and on a single menu. Before Escoffier, a woman – especially in England – did not dine out, unless she was a demi-mondaine. Escoffier invited the Prince of Wales to bring his wife, Mary of Teck, to dine at the Ritz; after that ladies of better society decided they could all dine with their husbands. Finally, perhaps his greatest contribution was a modern vision of professionalism in the food and hospitality trade. Before Escoffier the traditional French kitchen was a brutal place, emphasizing unquestioning obedience to the chef that was often reinforced with blows from spoons, rolling pins or worse. Escoffier’s standards and expectations were high, but he did not use violence to promote them; instead he used training and a refined, insightful and sometime humorous attitude that allowed him to communicate easily both with the lowliest apprentice, as well as with Princes and Dukes – of which Tower cites many examples. Add 6 finely chopped onions. Season with salt and pepper. Add 1 glass cognac and 1 glass white wine. This recipe became Lapin de Gravellote, as Escoffier first served it on the battlefield of Gravelotte. What could have been simpler? Some time back in the US, I need to make this. The wrap-up: A great, short book. I like it. Tony Bourdain likes it. If you care about food, you will too. A bit of a postscript … Why did I do these two reviews together? What’s the link? Of course, A Dash Of Genius is a type of indie capitalism, the kind of writing we’d never see if it was up to the big publishers. So, there’s that. But when I read It Will Be Exhilarating, frankly I wasn’t exhilarated. I think indie capitalism is neat and all that, but there’s a flip side to it – one of self-indulgence, a boutique viewpoint that is pointlessly unique, and products that aren’t that great, which only exist because nowadays you can find the 1000 people in all the world who care about your dorky little clip. In a cynical mode, one might re-title IWBE to “It will be mildly useful to a few people, somewhere”. But reading A Dash Of Genius, I was taken by Escoffier’s passion. His accomplishments were great, but more important was what he surmounted, and what he stood for. Had he been around today I think he might have been an indie capitalist. When opening the Hotel Ritz in Paris and discovering all the dining room chairs and tables were 1 inch too high, Escoffier sent them back to the cabinet maker to have the inch removed, all 3 hours before opening time. I can’t picture this man working for a mega-corp. And that made me think Dan and Tom of Studio Neat must be taken by the same thing – they have their standard, and that’s what they want to build to. Here’s the link: Personal vision and passion in what you do – things so hard to get, but with unmatched rewards, whether you’re cooking for royalty or making something for a 1,000 true fans. I’m a regular reader of Paul Krugman’s articles and blog. One of my takeaways from B-school was an interest in macroeconomics and Krugman’s objective and unapologetic style – as well as his argument – clicks with me. But I’m not posting about economics. I find I share Krugman’s taste in music and books. His last Friday’s post featured Fairport Convention, an all-time favorite band for for the Salazar family. Other bands he likes I find I like too: The Civil Wars, and Arcade Fire. Krugman’s an SF fan too, there was an article about it in the Globe some months back. Reading that I thought I’d try some of his picks. That got me hooked on Iain M. Banks Culture series. Over 4th of July vacation I read Use of Weapons and Excession; both were good, though I liked Excession more. Anyway, being here in India on my assignment, not yet joined by family, I have a lot of time for reading. 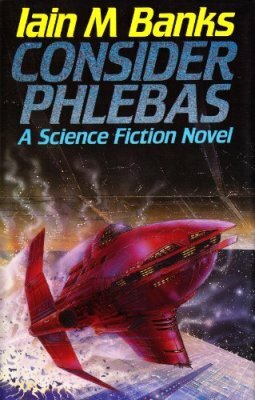 Since coming here I finished Consider Phlebas and am halfway through Look to Windward. I haven’t found any SF I like for so long, The Culture is a great to come across now – vast, space-opera scope, which makes it fun, and at the same time just good characters, which makes it interesting. If this stuff is news to you, check out some of Krugman’s music and books. Of course if you also look into his politics, I really can’t help that, now, can I? Last week’s New York Times carried a rather chilling op-ed, entitled Why China’s Political Model is Superior, by Eric X. Li. Mr. Li is the chairman of Chengwei Capital. Chengwei is an investor in firms such as Youku.com, a Chinese Youtube-like service, AntonOil, the largest oil drilling and services company in China, and AAGI, China’s leading producer of coal-bed methane. This is not Mr. Li’s first op-ed in the Times; last year they published Counterpoint: Debunking Myths about China. China’s approach to our needs is simply better adapted than the slow and sometimes patronising post-colonial approach of European investors, donor organisations and non-governmental organisations. In fact, the Chinese model for stimulating rapid economic development has much to teach Africa … I have found that a contract that would take five years to discuss, negotiate and sign with the World Bank takes three months when we have dealt with Chinese authorities. Here is Li’s utilitarianism again. Of course, Wade is not just talking about cutting red-tape, but about “incentives” for his ruling elite to allow projects to happen, something that Chinese companies can do easily, but that US companies, being subject to the Foreign Corrupt Practices Act, cannot. Halper details how Africa is a key part of Chinese strategy. Africa has at least 30 “totally or partly unfree” regimes, and China uses an ask-no-questions policy when dealing with their leaders – which makes sense, since China has a history of pleading offense when other nations comment on its own “internal affairs”. The net benefit for China is expanded trade, access to energy reserves, access to critical high-tech natural resources (like cadmium, tin and tungsten), and support for its broader political agenda – for example, with Taiwan. A second benefit is lurking in Eric Li’s op-ed – more and more countries seem to agree with him. As Halper points out, the majority of people in Latin America, Africa, and most of the Middle East, now prefer “social order” over democracy. It wasn’t always this way. In 2002, 67% of Venezuelans said they liked American ideas on democracy; in 2007, the number was down to 40%. Halper’s view is that wars in Irag and Afghanistan certainly haven’t helped American prestige, but what’s most important is that China is filling the vacuum we are creating. When we consider that in the wake of the Arab Spring, democracy does not seem to be surging to the fore, the direction of Li’s op-ed becomes all the more worrisome. Halper’s book lays out a blueprint for action. His recommendations can be debated – there’s more democracy for you – but one of his points is crystal clear: America is still the strongest world power, and especially has potential for “soft power” that far outweighs Beijing’s. Developing nations may like Chinese quick, utilitarian action, but they also can recognize the proverbial two-edged sword when they see it. The day it becomes in the “national interest” for Beijing to deal harshly with any client, or even to pollute its water and air, by its own principles it will do so. We democracies on the other hand can’t act that way – we have populations that for the most part won’t put up with that. Yes, I know, there’s hundreds of counter-examples that can be cited. I still say the difference is real. We need to make sure the developing world sees those differences. The expanding appeal of China’s governing model is shrinking the West – making our notions of society and government less relevant – and will do more to alter the quality of life for Americans and the West in the twenty-first century than any other development. I can’t speak to the political or academic quality of Halper’s book – I’m neither a politician nor a professor – but as a member of the American democracy I found it insightful. I certainly wish we could refute Eric Li’s op-end by having our 2012 candidates speak to the challenges Halper lays out. Somehow I expect that is a job that we the people will have to do for ourselves. My last post talked about contrasting evolutionary strategies of large populations that reproduce and mutate rapidly, vs. small populations that use individual adaptability to contend with environmental challenges. Then this morning in the Times I saw this article: Study Finds Virus to be Fast Learner on Infecting. The article showed how bacteriophages (viruses that attack bacteria) mutate to use new attack pathways in a matter of days – 15 days in this experiment. The new attack requires 4 specific mutations, and in 22 out of 96 repeated experimental runs, the persistent little ‘phages hit upon the same set of 4. Amazing stuff, this is evolution running in the lab. It also shows the infinite-monkeys principle at work, though in this case the simians aren’t typing Shakespeare, they’re typing a set of 4 mutations. It’s also a good point to reflect on the fact that we complex, adaptable, novel-writing, sushi-making humans are not the real “rulers” of the planet. Based on biomass that lofty perch belongs to bacteria, algae and those diligent viruses. I like reading many kinds of science books, but as a category books on evolution are my favorites. I suppose it’s because evolution is the great scientific truth that is most discernable. Certainly, relativity and quantum mechanics are biggies in the truth department, but I don’t call those “discernable”. Evolution, on the other hand, is all around – just look at a snail or a tree or a bird and ask yourself, “How did that thing get that way?” Pastafarians, of course, have their own explanation – evolution is mine. Evolution and the Emergent Self, by Raymond L. Neubauer, takes on the “how did that thing get that way?” question from an intriguing viewpoint, by looking at how complexity arises in evolution. The starting point of the book is the observation that for all living things there are two fundamental strategies: A maximum growth rate strategy, where the organism multiplies as fast as possible, relying on very large population sizes to mutate and adapt as required; and then a stable or homeostasis strategy, where the organism relies on complexity to provide individual adaptability to contend with changing conditions. An example would be, in an environment of frequently drying ponds, algae must evolve a special cell-wall to keep from desiccating when conditions turn arid, but a frog can just hop to a different pond. No organism relies entirely on one strategy over another, but clearly bacteria, shrimp and most insects are examples in the large-population camp, while birds, mammals and good ‘ol Homo sapiens are in the homeostasis camp. What I found enjoyable in this book is how far Neuberger was able to go with this simple idea, and how many separate destinations he achieved. An early chapter looks at the information content of life. Genes and brains both are information storage, in that both are ways of encoding different states. Having a lot of genes is one form of complexity; its benefit is when you need to adapt, you have a lot of options, in terms of things to turn on or off or to mutate. Turns out that rice has nearly 58,000 separate protein-encoding genes, while we humans have a mere 22,300. Reduced to information processing terms, there are about 832 million bits of data in those 22,300 genes. That’s just over 100 megabytes, about 10 times the size of a program like Microsoft Word. The human brain encodes a lot more data – with 86 billion neurons, and each neuron with about 1,000 synapses per neuron on average, that’s 86 trillion bits. That is one long program. Anyway, having a brain let’s the organism encode a lot more adaptive states than having a lot of genes. I said this book went to a lot of destinations. Some others: Why big brains generate the need for play; Entropy in evolution; Sociobiology; and even the origin of life and its likelihood outside our solar system. All this topical variety makes the book a bit disjointed, but for my part I liked it – it was like a fact-filled but rambling conversation with a congenial genius. To wrap up, I’d never suggest Evolution and the Emergent Self as a starting point for your evolution-library – there’s The Selfish Gene, The Mismeasure of Man, and countless others to get first. But if you are looking for something refreshing in the field, pick up Neuberger’s book – I think reading it proves its own point, that having a brain is a good thing.